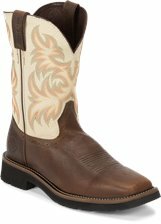 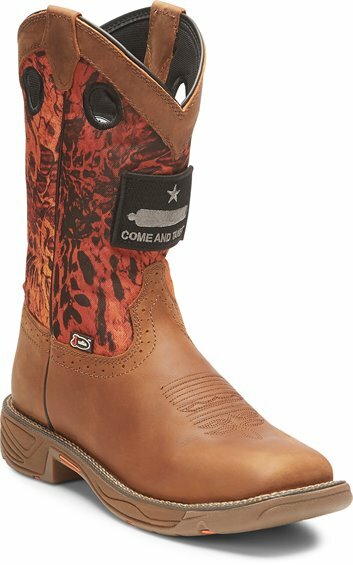 Work hard and play hard in a boot that reflects your dynamic style with the 11" Stampede Rush boot in Tan. Featuring a blazing Prym1® Firestorm Camo pattern upper to heat things up and a tan leather foot, it's equipped with an Ortholite® Dual Density insole and egg-crate insert inside the boot designed to promote air movement. 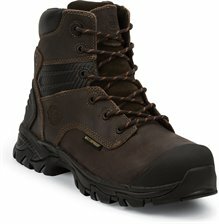 The flexible and durable oil-and slip-resistant rubber outsole gives you the traction you need. 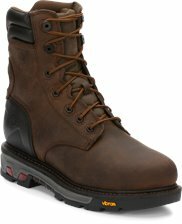 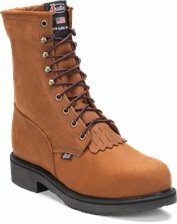 This boot is Electrical Hazard rated to meet ASTM F2892-11 EH Standards.